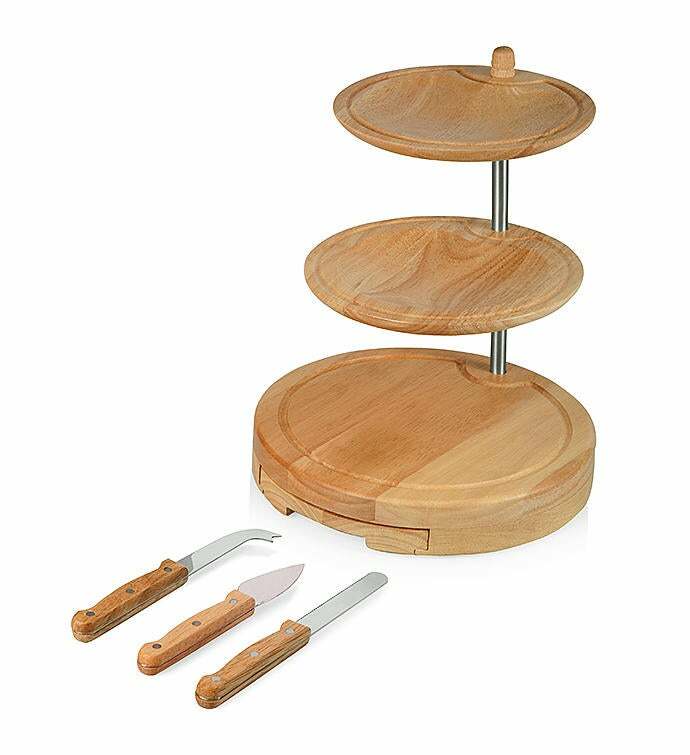 Indulge in more ways than one with the Regalio 3-Tier Serving Set. The classic, stepping statement piece is stylish and sleek to serve all cheeses and appetizers with elegance. Care Instructions: Surface wash only with a damp cloth. To prevent wood from warping and cracking, do not submerge in water. Hand wash tools and towel dry immediately after washing. Not dishwasher safe.